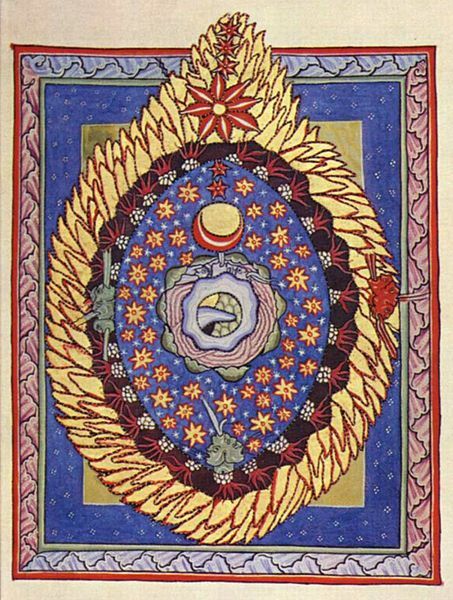 An illumination of Hildegard of Bingen’s visions — the Cosmos. From her book of visions, Scivias. 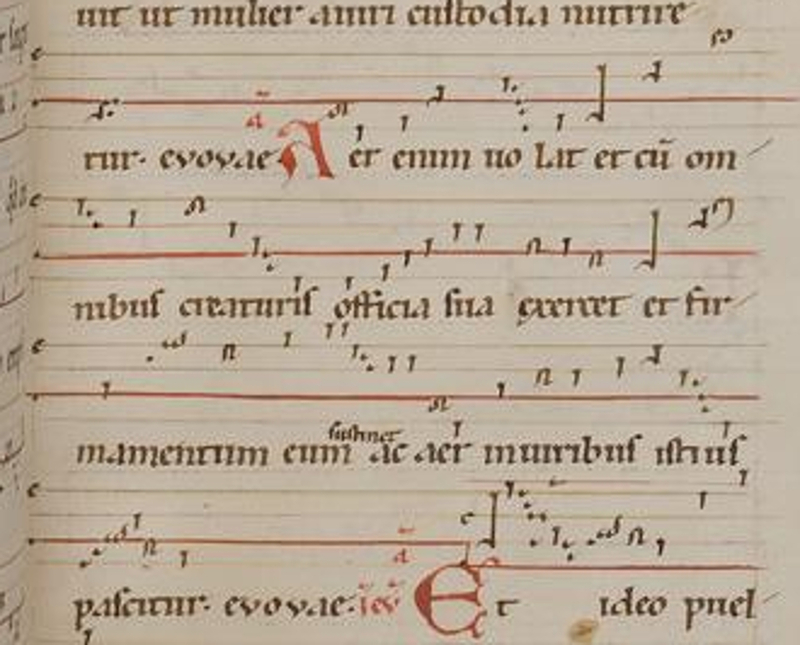 The third vision of part 1 of this manuscript. What does 12th century German magistra, mystic, composer, counselor, and physician, Hildegard of Bingen’s perception of the Cosmos (as presented here in her illustration) have to do with nitty-gritty daily practice of healing ways and herbal medicine in her monasteries? What is the connection of the abstract as depicted in the illustration with the qualities and uses of the plants? 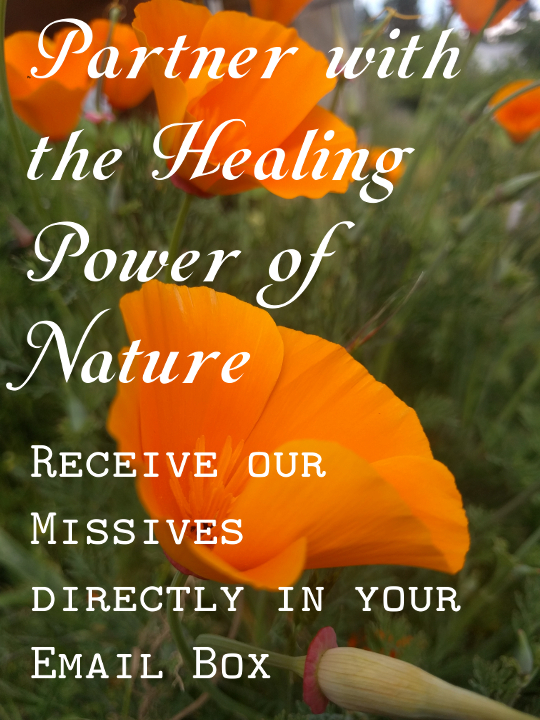 How do the elements of the cosmos as she understood and spoke of them “show up” in the garden that her nuns tended, the bodies of the people who came for healing, the plants and healing ways for helping restore good health and balance? 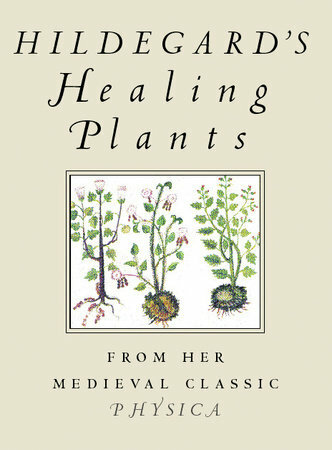 Hildegard of Bingen’s medicine was an expression of an amazing woman in a particular place and time, drawing on understandings of the ancients yet also expressing her own personal — spiritual and physical — experience of her world. Hers is a framework that links to creation in a poetic and spiritual way and yet is fundamentally practical, grounded on embodied experience of the literal earth beneath her feet and the turning seasons, and how that is mirrored in the body. Come join me at my upcoming workshop, Hildegard of Bingen’s Medicine, where we will begin to experience her world — her past and her sensibilities, nature, and viriditas — Hildegard’s term for the greening power of God, the force of life. We’ll apply these experiences to getting to know some of her plants and healing ways, bringing them home to our own 21st century lives. Saturday, March 2, 2019. 9 am to 3 pm. St. Placid Priory, Lacey, WA. Cost is only $65! You may be interested in reading: Gratitude, Sip by Sip – a blog post by me about viriditis, gratitude, and engaging with plants and their viriditas.